Arrive in the Baltimore area, check into hotel. 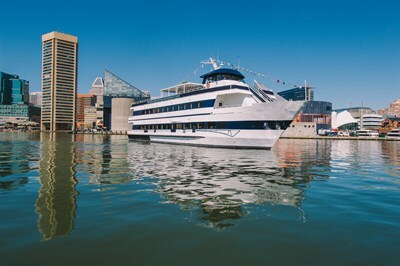 Enjoy an evening dinner cruise on Spirit of Inner Harbor. 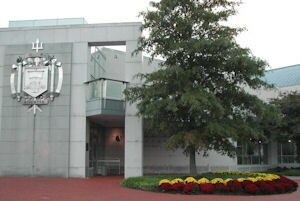 Start your day with a Narrated City Tour to hear some of the city’s best known stories and see some local movie and television sites. 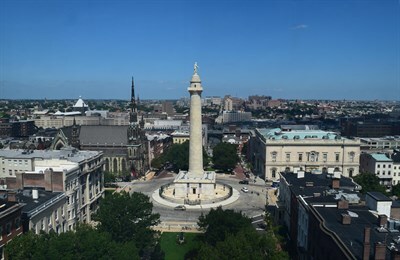 Enjoy a memorable tour highlighting the city during its growth and see the statuary and historic homes in Mount Vernon Place, the Basilica of the Assumption and Edgar Allan Poe’s grave. Visit the B & O Railroad Museum. Baltimore is the birthplace of American Railroading and the B& O has an amazing collection of engines in their roundhouse and outside. Then enjoy a brief train ride, before heading over to Camden Yards. Lunch at Dempsey’s, overlooking the Camden Yards Baseball Field, before a behind the scenes tour at Oriole Park at Camden Yards, one of the most replicated baseball stadiums in America and home of the Baltimore Orioles. Enjoy a leisurely stroll through the birthplace of George Herman “Babe” Ruth, discovering legendary details and uncovering a piece of baseball’s past at the Babe Ruth Birthplace Museum. Next is dinner at Phillip’s Seafood Restaurant. After breakfast, travel to Annapolis, on the shore of the Chesapeake Bay. Let an Annapolis Tours by Watermark attired guide take you back to the 18th century. They will lead you through the Old Senate Chamber, in the Maryland State Capital Building, where in 1783 George Washington resigned as Commander-in-Chief. Continuing through the historic area, on your way to the U.S. Naval Academy (USNA), you pass many 18th-century mansions and learn about the significance of their architecture. In the shadows of these buildings, your guide will share with you some history of the famous statesmen that built these magnificent structures. Your visit will include the Naval Chapel, the Crypt of John Paul Jones and Bancroft Hall. During the academic year, you many view the Noon Meal Formation of the midshipmen; weather and schedule permitting. Plan to eat at the Dry Dock Restaurant, the sandwich shop favorite of the midshipmen. Take a Watermark Cruise in the afternoon to see the shores of the USNA and Annapolis Harbor. Enjoy getting on the water and catching a glimpse of the Chesapeake Bay Bridge. This 40-minute cruise is the perfect ending to a day in Annapolis. Dinner and a show at Toby’s Dinner Theatre. Start your day at Fort McHenry National Monument & Shrine. After watching the film, your group will see “where our flag still waved” after the British bombardment. You will feel the impact of those special words as you catch site of the flag flying high over the fort. When weather permits, a grand 30’ x 42’ flag flies above the fort; perhaps your group can assist with switching flags for the day at 9:30. Explore the National Aquarium in Baltimore with more than 15,000 specimens of aquatic life, including species of fish, birds, amphibians, reptiles, and mammals living in award-winning, naturalistic habitats. The Blacktip Reef exhibit replicates a saltwater Indo-Pacific ocean habitat with creatures new to the aquarium, such as blacktip reef sharks, whiptail rays and wobbegong sharks.